Recently the famous writer Clive Barker held a Halloween writing challenge. The challenge was to interpret one of his paintings as a short story. Here’s my interpretation. Thanks Clive, it was lots of fun. “Our species once numbered in the thousands, now there is only a handful of us left.” Darwin Steinbeck said to the room filled with residents. “Something has to change, we can’t continue the way we have or our species is destined for extinction.” Darwin had said these same words to these same people on so many occasions that it made his face feel numb to repeat them once more. Darwin desperately tried to speak over the crowd who cheered and clapped the Mayors comment. “If something does not change there will be no businesses to thrive…” It was no use; Darwin knew that he had lost the crowd. With his shoulders slumped he yielded the microphone to another and crept from the stage. After grabbing himself a drink from the mini-bar Darwin sat at a small desk by the window. He looked out across the dry, dusty landscape and sighed. He could see one Skyscraper where once there would have been hundreds. Darwin remembered his childhood and how green and full of life the valley had been. He watched as the Skyscraper took a few listless steps and then sat down, an exhausted look upon his face. The Skyscrapers were great creatures that towered into the air. They carried sometimes many thousands of residents above their eyes. With long awkward arms and legs the Skyscrapers moved slowly under the weight of their enormous foreheads. But they only moved when the residents within voted. They only walked when the residents told them where to walk. Food in the valley was almost depleted. A whole city once flourished in this valley where the skyscrapers had lived for centuries. If the Skyscrapers did not eat, then there was no food for the people who lived inside of the Skyscrapers. “We need to leave the valley and find food elsewhere.” Darwin mumbled into his freshly filled glass. The sad giant picked in the dirt for a morsel to eat. This Skyscraper was fairly small, perhaps only twenty stories. The larger Skyscrapers had been the first to die, their appetites were large and they had thousands of residents to feed. A red light flashed on the wall of Darwin’s apartment. The residents meeting was over and it was time for Darwin to vote. He hadn’t voted in days, after all, there was never anything worthwhile to vote on. A series of multiple-choice questions came onto a screen that was mounted into the wall. Should the Skyscraper feed in the southern part of the valley? Yes or no? Should the skyscraper forage or should it hunt? Hunt or forage? Why did they bother? The answer was always forage. The larger game had disappeared years ago. It made Darwin angry, he looked to see if the questions he had put forward at the residents meeting were there; but of course they were not. A Skyscraper could only do what the residents voted on and even though most of the Skyscrapers had perished, the residents still wouldn’t jeopardise their position within the building for anything, even survival. Within this symbiotic relationship the Skyscrapers were trapped in a cruel trick of evolution. They could only respond to the majority collective vote. They were forced to follow the status quo. He couldn’t blame the residents for not listening to his ideas; after all he was only a third floor resident. Unlike the Mayor, who subsisted in the entire top floor penthouse. Any wonder he didn’t want change. His food rations were proportional to the size of his apartment. Darwin’s parents had once lived in the penthouse, but they saw the starvation coming and the more they voiced their opinions the further down the skyscraper they seemed to fall. After his parents passed away, Darwin continued his parent’s fight, his subversive views causing him to plummet down the Skyscraper to the very lowest floors. A sharp cracking noise forced Darwin to turn his attention out of the window. The Skyscraper he had been watching earlier pitching forward into the dry earth. As its face hit the ground shards of stone and rubble shattered into the air. The noise was like an explosion and enough to rattle the windows of Darwin’s apartment. A bloom of dust and smoke soon completely engulfed the Skyscraper as its body continued to crumple into the ground. A wave of dust billowed into the air and a red cloud replaced the blue sky. Darwin walked over to the window with his mouth ajar. All of those people. He thought. Probably as many as eight hundred residents and they would all be dead. The residents needed the Skyscrapers as much as the Skyscrapers needed the residents. When the dust finally cleared there was only a pile of debris. A tear ran down Darwin’s cheek. He knew that it was just a matter of time before the Skyscraper he lived in died too. What was wrong with the residents? How could they be so blind? Darwin refilled his drink and stared at the rubble of the recently fallen Skyscraper. His head filled with images of his parents desperate pleas to the other residents. His eloquent Mother being shouted down by the ignorant mob. His proud father trying to quiet the crowd. That was the day they had been evicted from the penthouse. He remembered his mother carefully unpacking her beautiful dinner plates and exhibiting them on the cabinet he still had in his small living room. It was one of the only possessions he still had of his parents and several times he had come close to selling it just to feed himself. But instead he went hungry. He looked at the plates and thought how lucky he was to not sell them. The food would long ago have been eaten and he would now have nothing. Darwin had emptied the best part of a whole bottle when there was a loud knock at the door. The only time he had knocks at the door seemed to be when he was being relocated to another floor. After his insistence that they leave the valley he presumed that he was about to be moved down to the second floor. He didn’t mind so much, he had become quite accustomed to the smaller rooms of the lower levels. Each floor having slightly smaller apartments than those on the floor above. Again, there was a loud wrap on the door. “OK, OK.” He said as he stood to answer the door. He staggered a little as he made his way to the door and steadied himself for a second to clear his head. As Darwin opened the door the Mayor nearly fell into his apartment trying to knock on a door that was no longer there. “Mayor Lynch! I do apologize. Come in, come in.” Darwin stammered to the Mayor, who was already in. While Darwin fussed about trying to pull up a chair for the Mayor, the Mayor took in his apartment in one quick glance and grimaced. “Darwin my boy. I don’t get down to the lower floors very often… It’s quaint, yes very quaint.” The Mayor said as though he had eaten something that tasted dreadful. “Darwin, you have been like a son to me. And as you know I was very close to your parents.” Neither of these things were even remotely true. In fact the Mayor had almost single handedly been responsible for the demise of Darwin’s parents. The Mayor plonked down in the chair Darwin had found and he waved away the two very large men who were standing in Darwin’s doorway. “My boy, once again you have disappointed with your nonsense about leaving the valley.” The Mayor shook his head as though Darwin was a naughty puppy who had pooped on the carpet. “You’re such a bright young man Darwin. Why do you insist on trying to make me look bad?” Darwin went to speak but was cut off. “I could use a man like you in my team. You see, I am thinking of leading our Skyscraper and our residents… never mind, I was wondering what information you have to back up your ramblings. Do you have any evidence that anything exists outside of our valley?” The Mayor asked. Darwin had wanted to tell someone about this for years but no one had ever wanted to listen before. He almost jumped out of his skin to tell the Mayor everything he knew. “In the ancient scrolls or the ‘Title Deeds’ as they were called there is a suggestion that the Skyscrapers may have moved into the valley from another land. Indeed there is a possibility that outside of our valley there are vast areas of land and perhaps even other valleys. Also indicated on the Deeds are directions that lead to these other lands… My parents were sure that these distant lands do exist.” Darwin said. “Good, good my boy. And where would I get my hands on these Deeds as you call them?” The Mayor said. “I have them all.” Darwin said. “It will take me the best part of the day to find them but I can have them for you by tonight.” He said. Then Darwin’s apartment was quiet and Darwin was left with only the sounds of his own thoughts. Like an often spanked puppy, he was happy to finally have some love and attention. Though there was something not quite right about the Mayors sudden interest, Darwin was still very happy to finally have the chance to prove to everybody that his theories were right. 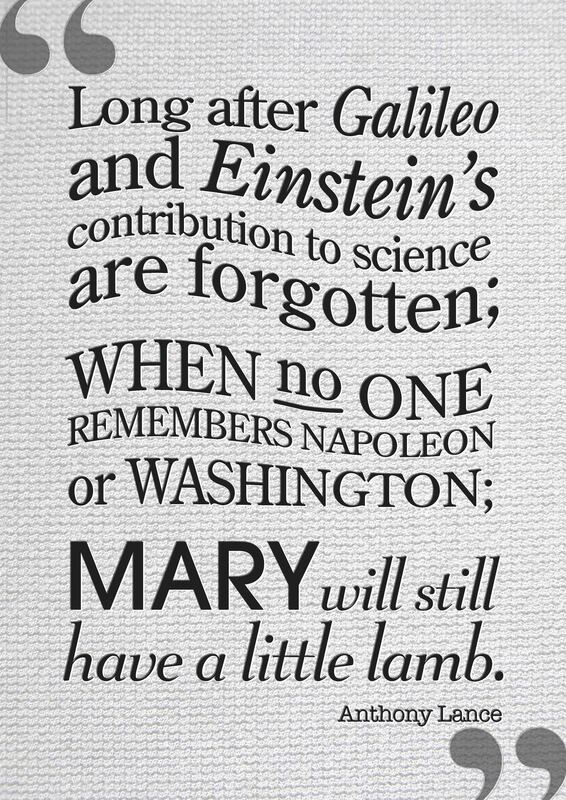 Darwin’s parents had devoted their lifetimes to collecting information on the subject of possible life outside of the valley. He spent the rest of the day finding everything he could, maps, mythology and even a recount from an old man who said that his Skyscraper had once ventured outside of the valley. Finally they were listening to him, Darwin was as happy as he could ever remember being. When the door exploded open Darwin was asleep in his chair. “Where’s the information?” A gorilla of a man shouted as he lurched at Darwin striking him with a heavy piece of wood. Before Darwin could say anything he was hit repeatedly. “Where’s the stuff? We were told you’d have maps and stuff.” Again the gorilla hit Darwin. 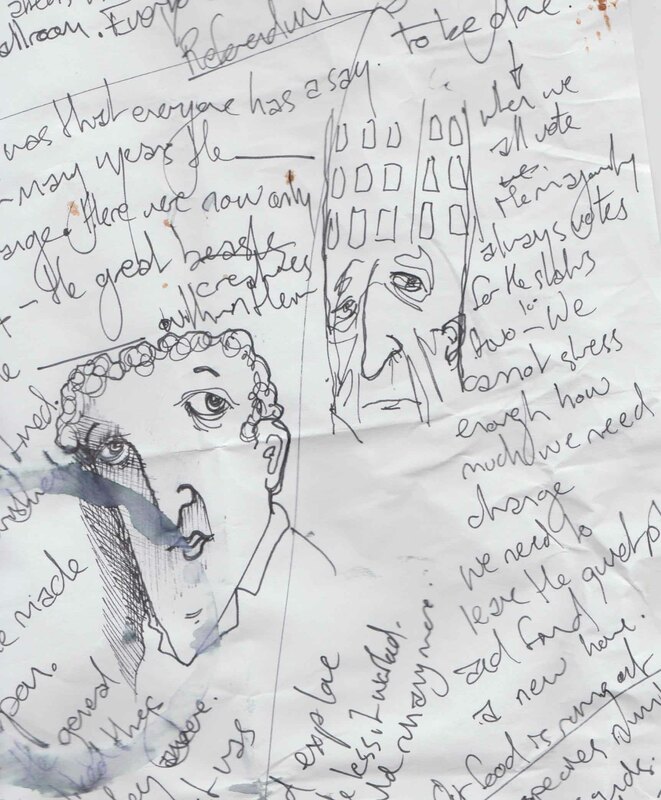 With blood pooling into his eye, Darwin could only point to a table where the Deed, maps and every piece of information he had collected waited neatly for the Mayor’s return. Once the gorillas realized that what they had come for was neatly stacked on the table, they turned their attention back to Darwin. The man with the stick took two steps towards Darwin and brought it down brutally onto Darwin’s skull. But before he could deliver a second blow, one that would probably have killed Darwin, the room shook and the gorilla lost his balance. Darwin felt the apartment shift and tilt to one side. His mother’s dinner plates fell from the cabinet where they had been on exhibition and smashed onto the floor. The last thing Darwin saw before his Skyscraper collapsed and everything ended was the red light flashing over the resident voting board. He smiled at the question. Should our skyscraper leave the valley in search of food? Yes or no? Let me die in peace. Why is it that when you are having an asthma attack and cannot breath someone asks you a question like? “Are you OK?” And you feel obliged to answer. So for all those caring soles who ask a question when you are least able to respond, here is the answer. Cloe had a skip in her step; she couldn’t wait to see her second grade teacher again. It was the first day back at school after the holidays and the warm sun lit up a perfect spring day. Cloe’s little three-year-old sister Wendy happily held hands with her father as they walked to school. “I had a dream last night Daddy.” Wendy said, her blonde hair and pink skirt glistening in the sunlight. Very attentively her father bent down, without slowing his pace. “A dream? Was it about pink bunny rabbits?” He asked. Wendy’s dreams always seemed to be about pink bunny rabbits. At that moment one of Cloe’s classmates and her mother appeared out of a side street. The mother’s smile as stiff as the rest of her botoxed face. “Awesome. We all got to surf at Waikiki.” Cloe’s friend said. “I’ve always wanted to go there.” Cloe said throwing her dad a nasty glance. “I dreamed about small, little people.” Wendy said. “Did you go away?” The other girl’s mother asked Cloe’s father. “No, just hung out at the local beach. Hawaii sounds like fun.” He said trying to move the subject of the conversation away from his unspectacular holiday. “The little people came into my bedroom and played with me.” Wendy continued. “Oh, Hawaii was so fun. I’m not sure who had more fun the kids or us. Expensive though.” The other girl’s mother said. “Tell him about the Hula skirts Mum.” Said the other girl. “The little people told me a secret.” Wendy said. “We bought all the girl’s in the class a grass Hula skirt.” The mother said. “They told me that you were going to smash up the car and that I was going to be dead.” Wendy added. “No.” The mother said a little uncomfortably. Cloe and her friend ran on ahead laughing and playing. While Wendy, her dad and the other girl’s mother walked silently the rest of the way to school. Wendy was wearing a new yellow swimsuit as her father walked her towards the car. “No, I don’t want to go in the car.” Wendy stopped. “C’mon, you love swimming, let’s go.” Wendy’s dad said picking her up and carrying her towards the car. “We can have popcorn after the swim.” Her dad said. Tears streamed from her face as Wendy wailed and screamed. She tried desperately to hold onto the doorframe as her father put her firmly into her child safety seat and fastened the seat belt. “Let me go, I don’t wanna go in the car.” She screamed. Wendy’s father started the car and drove off with Wendy still screaming and thrashing in the back seat. “Don’t be ridiculous. Stop it, stop it now.” He yelled looking back at her. Desperately Wendy pulled and struggled. “Stop it. Stop it, you’ll hurt yourself.” He said glancing back at the road. “But, the little people said I was going to be deaded.” She choked out breathlessly. “What?” Her father asked spinning around in his seat. Wendy’s father did not see the car recklessly speeding out from a give way sign. The last thing Wendy’s father saw as he was wheeled into the back of an ambulance was a little person standing beside the unrecognizable remains of his car. “Wendy, Wendy my beautiful Wendy.” The last words he uttered before he lost consciousness. I loved this book! All the stories were great and the twists were so out there. But the best we’re definitely ‘”Voices of the Soul” by Rene Folsom and “Suburban Zombie” by Anthony Lance. Whoa! 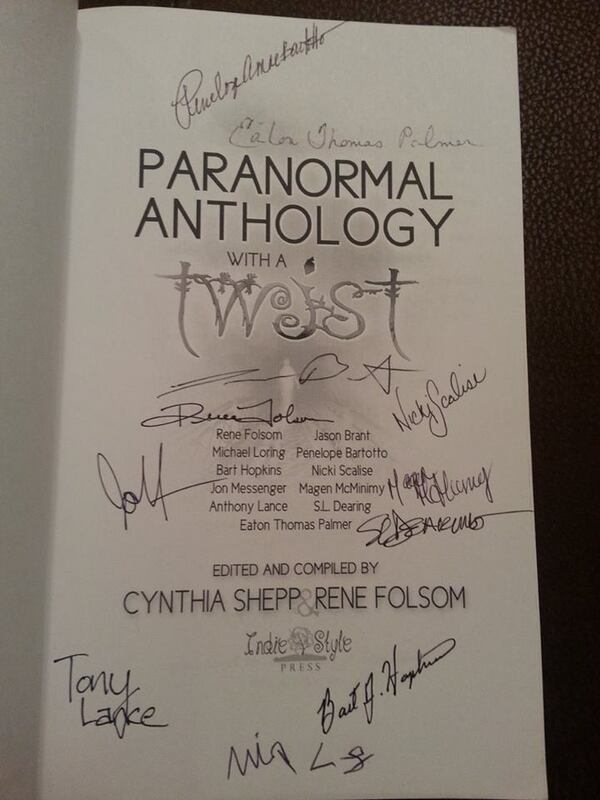 A brilliant anthology separated into 11 short stories. I don’t want to ruin the surprise of any of the stories so has instead written by opinions of them all individually not giving the stories away. This really made me giggle! A very well written, alternative view on zombie life! A very interesting short read. I’ve read my share of zombie stories. None are as creative as this one is. This is the funniest story I’ve read yet. The fact of a bunch of zombie women sitting around talking about health risks made me laugh until my ribs hurt! Now before anyone starts complaining about the use of Mormons being the “zombies” in this parody.. You really need to evaluate. There is no other religious sect that could have been put in that role. Every non Mormon at one point or another has been hounded by a Mormon or a two. They don’t care when you tell them you aren’t interested in what they say, they come back numerous times until you’re scared to leave your house. I applaud this Author for being brave enough to take something we all think and twisting it into this hysterical story… Even if he thinks those of us that aren’t zombies are just brainless zombies. This is definitely not your every day, typical kind of zombie story. First time ever….but I will not be revealing anything about it. Why you ask? It needs to be read by the reader in order to fully appreciate the humour. 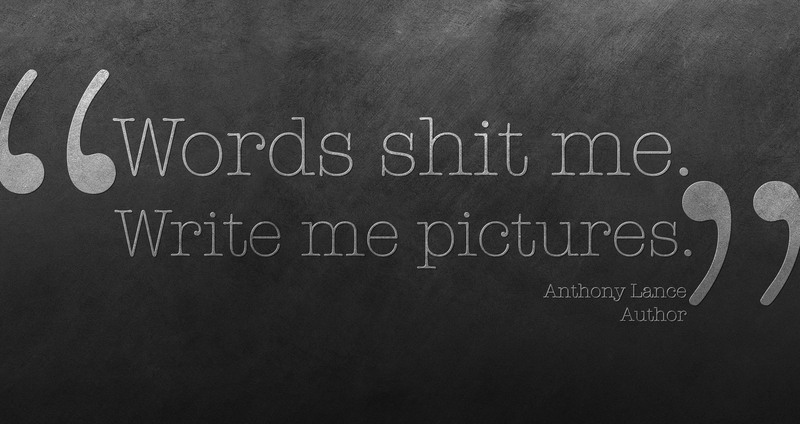 Anthony had me laughing out loud and enjoying every word of his imagination. 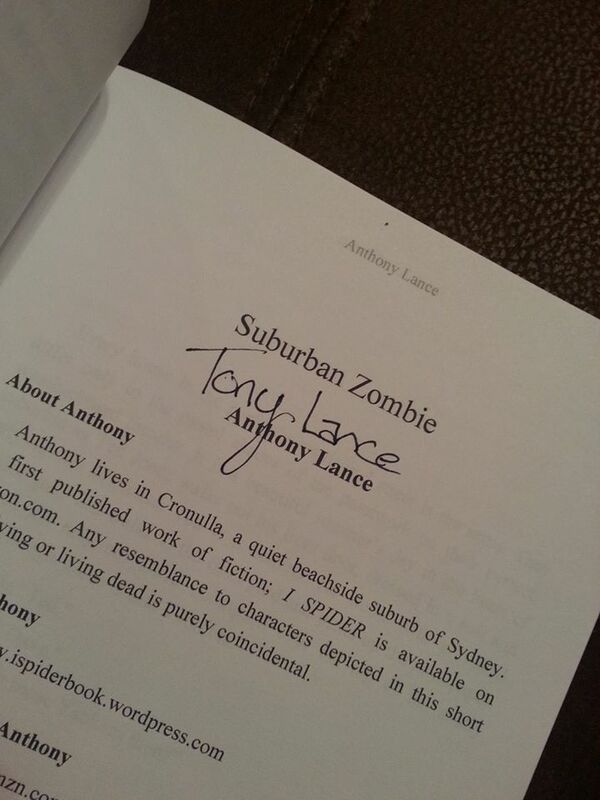 Kudos to you Anthony Lance. What a unique read with some very gory and laughable details. Suburban Zombie – I thought this was funny and original. I liked all the dark humour. This was actually a really good book. The stories in here centre around some sort of disaster, crises or murderer and they have a twist that you don’t expect. The story I probably most enjoyed was Suburban Zombie. Everyone in the story is a zombie. They live their lives like a normal everyday person. But one day they are attacked by none other than Mormons. When bitten by a Mormon, you become a normal human wearing nice dress clothes and carrying a bible. I laughed so hard when I read this one. Like seriously? Mormons? Some of the stories are mediocre at best but still very good reads. The twist in this story is very ironic and hilarious. I loved the banter between the characters, and laughed out loud quite a few times while reading it. I will never think of zombies the same way after reading this! I enjoyed this book more than the Apocalypse one! These stories were more along the storyline I enjoy. But, they were both great and had wonderful authors! I loved the first story in this one. 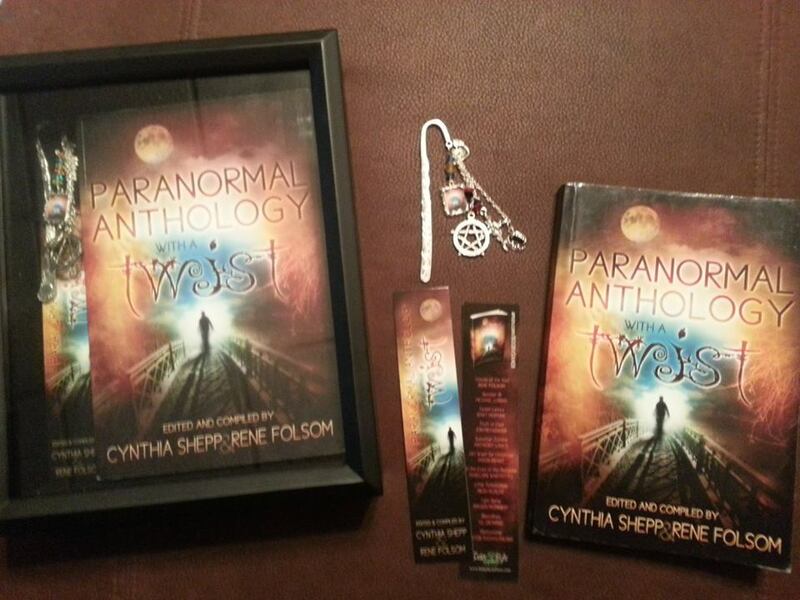 I read all of the books in the Soul Seers series! Rene Folsum is a great author! My other favorite was Suburban Zombie! By the title I was a little unsure but it was fantastic! Hilarious and I loved it! Anthony Lance hit a home run on that story! This was a great collection of stories and would highly recommend you read it! We’ve all heard of the ‘well traveled author’, but this is a story about a secret global quest undertaken by a couple of books. 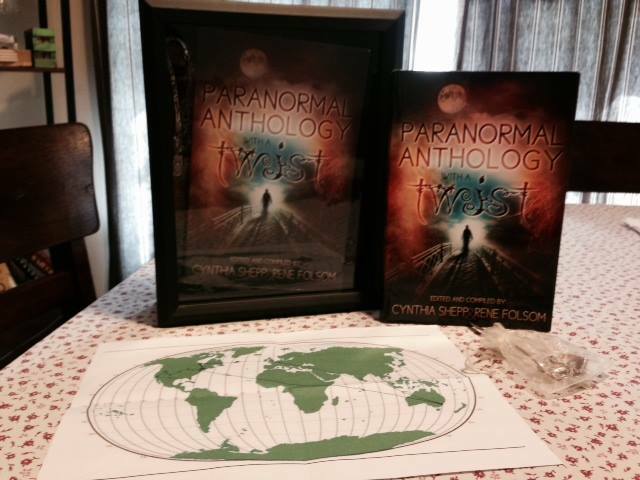 It all started about six months ago, two copies of the book PARANORMAL ANTHOLOGY WITH A TWIST began a journey that would take them around the World, where the books would be signed by each of the eleven authors. 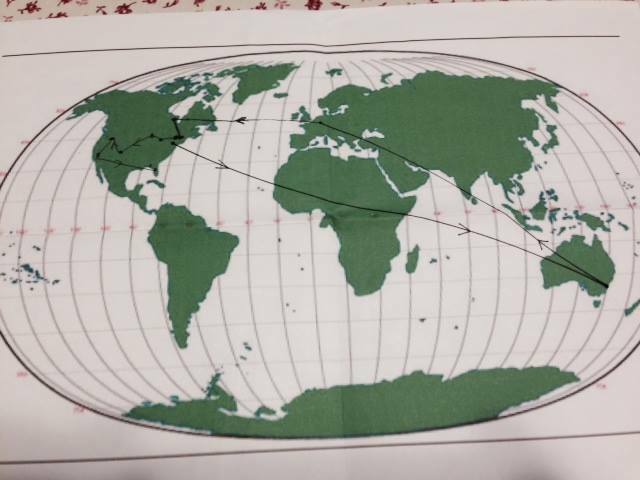 Visiting three continents, the books began their journey in Washington D.C. Then they traveled to Sydney, Australia and then on to Germany. From Germany they were sent back to mainland America were they visited Colorado, Idaho, Florida Wisconsin, Pennsylvania, Maryland and Hollywood California. During their travels the books disappeared in the postal system of a German military base for a short time, and were even lost in the back of one of the author’s father’s van for a month or so. A little travel worn on the spine, last week the books finally found a sweet home in Alabama with Cynthia Shepp, the books editor. There’s a book in that! My wife recons I’m the only person in the world that calls Spring Rolls, Mini Spring Rolls. But when I was a kid a Spring Roll was about five inches long and somewhere between a golf ball and a tennis ball in circumference. It was a pretty intimidating thing. Full of cabbage and mustard powder and deep fried. 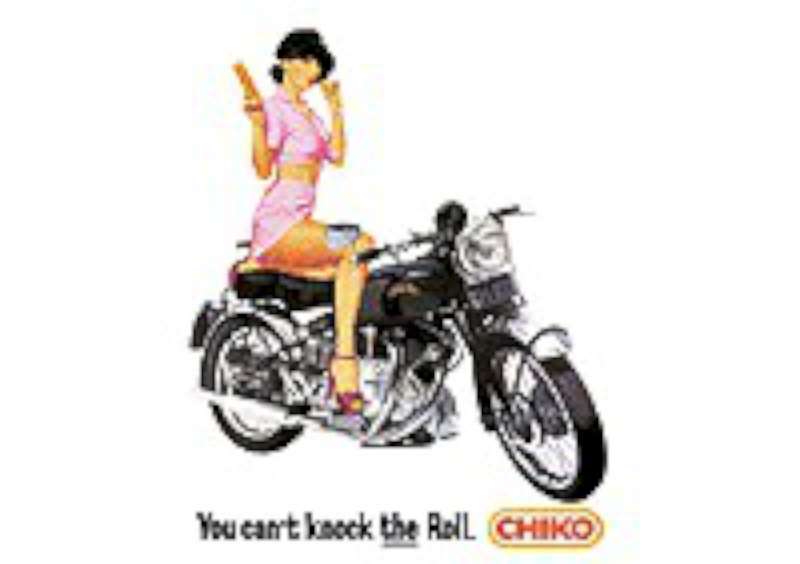 Of course, in Australia the Spring Roll was completely rolled by the Chiko Roll. A guy from my local beach, Cronulla, was in one of the TV ads for Chiko Rolls. “You can’t knock the roll.” He said proudly sitting in the back of a panel van. He wasn’t quite so proud when I accidentally ran him over and dinged his surfboard. I’m sure he would have given the ten year old version of me a hiding except that all of his mates stopped him because they thought it was so funny. But back to my point, you would buy Spring Rolls from the local Greek owned fish and chip shop. 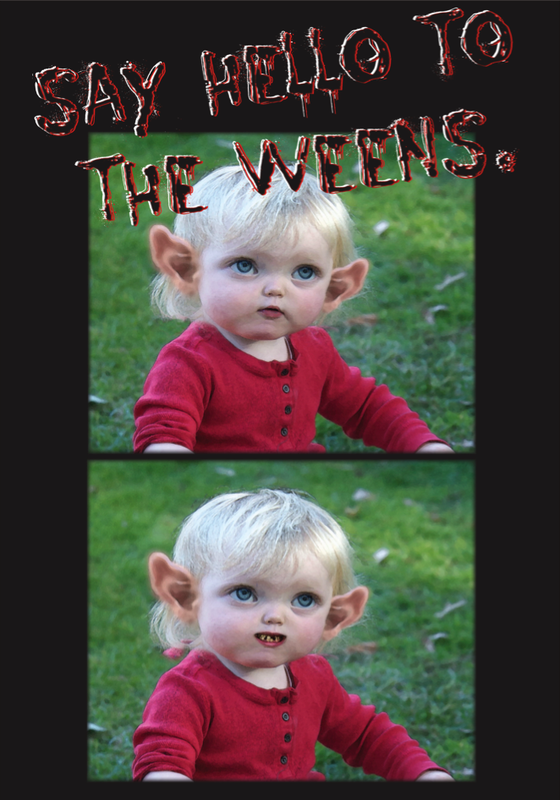 (Nick named the Chew and spew). The shop was in Sutherland, where I lived and run by Greeks. And quite the opposite of their nick name at the time, they were great cooks. I still lie awake at night wishing that lovely Greek family still sold fish and chips. Such was our strange multi-cultural society that Chinese restaurants started to sell what was then called Mini Spring Rolls. They were much the same as the Spring Rolls that I had grown up with, but mini. They also had ingredients such as prawns mixed in with the cabbage and mustard powder. They were friggin brilliant. And they have been a personal favorite ever since. So while the Mini Spring Roll rolled on to become the sixth food group, the Chiko Roll was slowly usurping the real Spring Roll of it’s rightful place on the food chain. 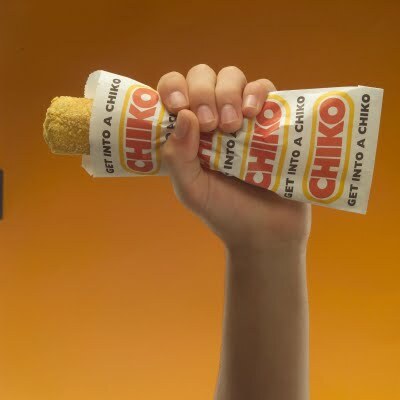 The Chiko Roll became an Australian icon. With “You can’t knock the roll”, becoming a catch cry of a generation. I still remember the last time I ate a Chiko Roll. I bought it from a chip shop in Miranda and it hadn’t been cooked for anywhere near long enough. the center was still raw, and after getting a mouthful of raw cabbage and mustard powder I puked and swore to never eat another Chicko Roll again. Apparently you can knock the roll. The general rule of thumb when writing is that you are allowed only one coincidence per story. Coincidentally, any more and the story becomes unbelievable. Coincidences are often used by lazy writers to tie up loose ends. 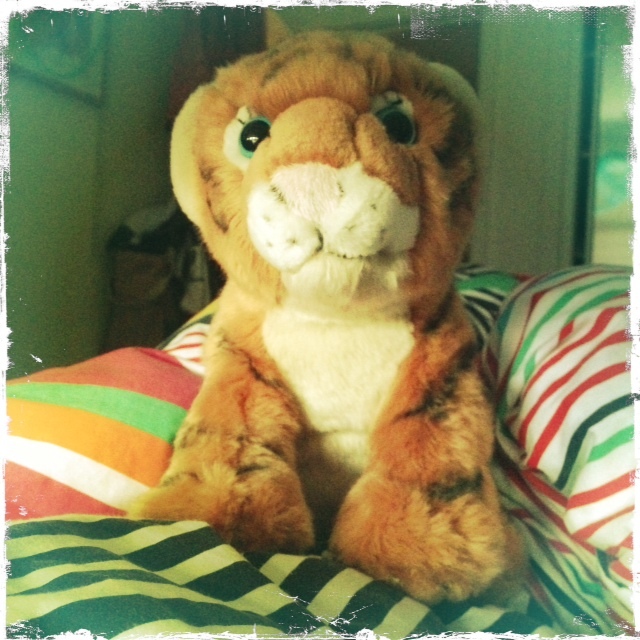 The other day my daughter took her fluffy toy tiger, Tiger Iger to school. She arrived home in tears after Tiger Iger had disappeared during lunch time. “Well.” She said. “After lunch I thought Tanya had my Tiger Iger but it was her tiger. It looked just like mine.” Tiger Iger is a fairly unusual soft toy and personally I can’t imagine there being another toy just like it. That would be a large coincidence. The next day I told my daughter to ask Tanya (a child from a different class) if she might be mistaken. No, it was definitely hers. The tears continued and my wife bought a new Tiger from the internet. In the meantime my daughter had told her teacher about her loss. 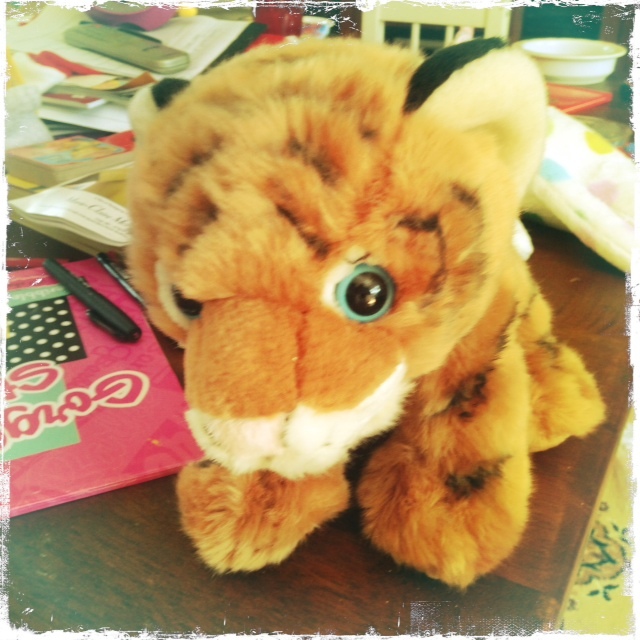 The teacher also thinking it was too much of a coincidence took the tiger off of Tanya and gave it to my daughter. That evening when my daughter arrived home she showed me the toy. Now I’m no expert but it looked a little different to my daughter’s toy. I was sure that Tiger Iger was smaller. “Tanya must have spilled something on it because it’s got a pink stain on its face.” My daughter told me. I looked at the stain and the stain was very old, the tiger’s eyes were all scratched and I was now pretty sure this wasn’t my little girl’s toy. I got a sudden mental image of Tanya crying all weekend because her childhood toy had been stolen from her. When my wife arrived home she confirmed that the tiger was not my daughters. We tried to get Tanya’s mum’s number through the other mothers but had no luck. It would have to wait ’till Monday for our apologies. On Sunday we all went to one of ten local parks with the kids and their bikes. “Dad, Dad, Tanya’s here. this is Tanya.” My daughter hollered with delight. It was the little girl from school. What a coincidence. we explained to her parents that there had been a mistake and they were OK with it. Come Monday the tiger was returned to it’s rightful owner and apart from my daughter not having Tiger Iger everything was as it should be. That day there was a child who had lost the same toy tiger on facebook. Thousands of people had LIKED the article in the hope of somehow finding the boy’s lost toy. The new tiger has arrived in the post and hopefully that will put an end to the coincidences. I arrived at school and two of the boys in my class said. C’mon, we’ve got this great place to go. It wasn’t until we were out of the School grounds that I thought to question where we were going. It’s this quiet place where no one will find us. They said. Agh… shouldn’t we be going back. I asked as we got further from the school. We’re not going to school. Realizing that I was included in this sweeping gesture I suggested that maybe I should just head back to school by myself. It’s already too late and besides, the bell’s already gone. You’ll get in trouble if you go back now. Being in year one I knew only too well the repercussions of being late for class. The three of us walked down a quiet street and into the Eton Arcade. This is the place, it’s brilliant. I wasn’t quite sure why we weren’t at school, I liked school. But I was completely at a loss as to why we had walked into the arcade where my mom worked. We sneaked up the stairs and onto the first floor, remarkably also where my mom worked. We snuck around the corner and there was a small dark hall that only ran for five feet before stopping at a single door. This is it. We were only five doors away from the soft furnishing company where my mom made curtains. My mom works just there. I said. The ramifications of what I was doing were only now sinking in and I desperately wanted to return to school. They’ll never find us here. This is the best spot ever. The other boys said. We sat, not knowing quite what to do, an air of defiance about us. I had been filled-in on what WAGGING school was, and on how tough this made us. After the first twenty minutes I started to get bored. We couldn’t move out of our small prison. There was nothing to do. By the time ten thirty came around all three of us wondering why we were there. Anthony, what are you doing here? It was one of the women from my mother’s work. I can’t remember what I said if anything, but one by one each of the women from my mother’s work walked around the corner. It turned out that the door at the end of the small corridor was the door to the room where my mother had her morning tea every morning. The very last people to round the corner were my mom and her boss. I don’t remember what was said, what excuse I made up or what trouble I got into, but I do know that my friends and I were back at school, standing in front of the whole class before eleven o’clock. The nutter in the street. That’s my job! WHAT DOES IT MEAN IF A ZOMBIE CAT LEAVES ITS SCENT ON THE FRONT LAWN OF YOUR HOUSE?